Mike Kiely, the sacked BDUK whistleblower who warned that BT is inflating the cost of street cabinets for next generation broadband access in rural areas, has had his prediction vindicated by a BT deal with a parish council. BT says it is to supply fibre to two new street cabinets it will install in the Oxfordshire village of Binfield Heath, giving villagers access to an ‘up to’ 80Mbps broadband service. BT says the village, 2.9 miles by car from the closest exchange in Caversham, was not included in its commercial roll-out plan. However, the 648 residents (according to the 2001 census) clubbed together to find the necessary £56,000, or £28,000 per cabinet. For BT. Two years ago the villagers of Iwade in Kent paid £12,667 for a street cabinet and fibre link to the exchange in Sittingbourne 4.4 miles away by car, a mile and a half further than the distance at Binfield Heath. 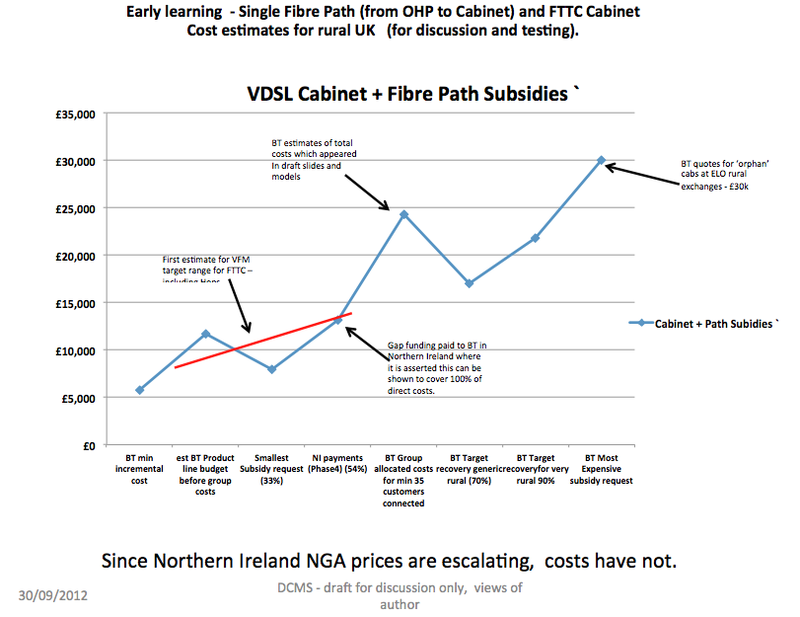 Iwade’s bill was close to the £13,000 average cost of cabinets installed during phase four of BT’s next generation (NGA) broadband roll-out in Northern Ireland, according to Kiely’s confidential report. Kiely’s report showed that BT was inflating the cost of rural NGA cabinets to around £30,000 each, pretty much what Binfield Heath is paying. 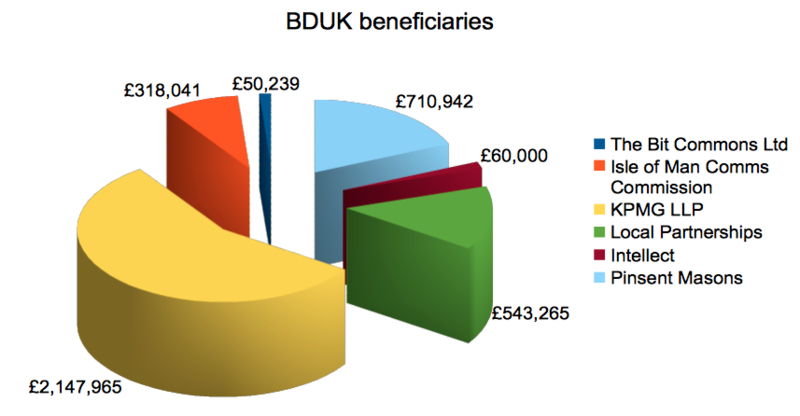 The department of culture media and sport (DCMS), which manages BDUK, sacked Kiely after he blew the whistle on BT’s apparent price gouging and his report leaked to Br0kenTeleph0n3. Binfield Heath vindicates Kiely’s report. Culture secretary Maria Miller should re-instate him at once, and sack those who turned a blind eye to his warning. Virgin Media Business has landed its first customer for next generation mobile backhaul, MBNL, the 50:50 joint venture between Everything Everywhere and Hutchinson 3G UK. The firms today announced a £100m eight year deal to build 14 “aggregation sites” over the next 18 months to provide 1Gbps synchronous backhaul to the MNO. Virgin Media declined to say where the sites will be, but provided a links to a map of its core network. The deal will speed up data rates to smartphones around the country, reducing network congestion as each cell site will be connected to the aggregation centre with optical fibre, Virgin Media Business said in a statement. The auction for 4G frequencies, the 800MHz and 2.6GHz, is expected to start in 2Q2012 following a short delay in the auction design by Ofcom, the communications regulator, which is conducting the auction. 4G will allow smartphone users with the right handset to receive up to 100Mbps data rates.